What Happens with a Safe Deposit Box During a CA Estate Administration? 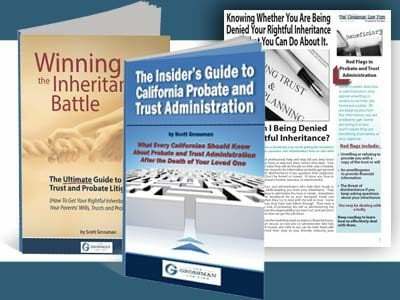 As you begin the process of probating an estate in California, you will quickly be faced with the task of addressing the decedent’s tangible personal property. Personal property may include a safe deposit box. As the personal representative of the estate, you will want access to the contents of this box. The box may contain valuable assets or important financial documents. This may include the original will or trust of the decedent. It is vital that you seek guidance from an experienced San Diego probate lawyer before taking any action. Failing to act properly may expose you to liability. What happens when the decedent passed away possessing a safe deposit box in his or her sole name? If you have the safe deposit box key, you can access the box by providing proof of death and your identification. The financial institution where the box is, has no legal duty to inquire about the validity of the proof that you provide. Once you present documents, you may open the box under the supervision of an employee of the institution. The financial institution must keep a record of your access to the box. You are permitted to make a photocopy of any wills or trust instruments that are found in the box. You can leave the copy in the box and take the original. Once you have original documents, you must deliver them to the probate court and send copies to the beneficiaries. You cannot remove any other property from the box. Accessing a safe deposit box is essential because of the information that it may provide. 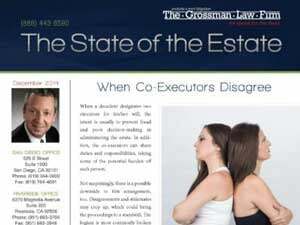 This includes information about the other assets of the estate. Our article, 13 Ways to Find the Assets of an Estate During a CA Administration, provides more information about finding assets of an estate. 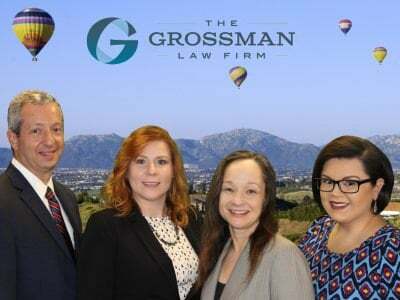 To learn more, about probating a California will or trust, contact an experienced San Diego probate attorney at the Grossman Law Firm. Contact us today at our toll-free number, (888) 443-6590, for a free 30-minute phone consultation.